Kun Phaen Paetch Payatorn – Nuea Pong Wised, Pong Dork Jampi, Pong Dueay Ngu Hlueam Pasom Pong Bprian Niaree (all effective magical charms), with Nam Wan Prasan Rak (potion to induce love). Small in size so suitable to both Men (as a lateral amulet or short chain amulet) or Women as a central amulet. 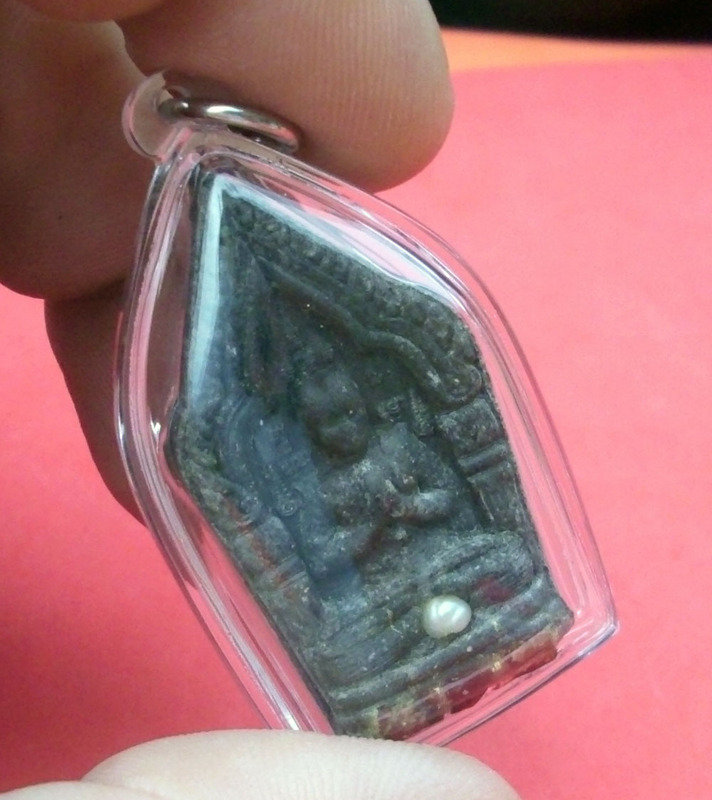 For the first time ever, we can admire the fusion of Pra Khun Phaen and the Paetch Payatorn Deity in one Amulet. 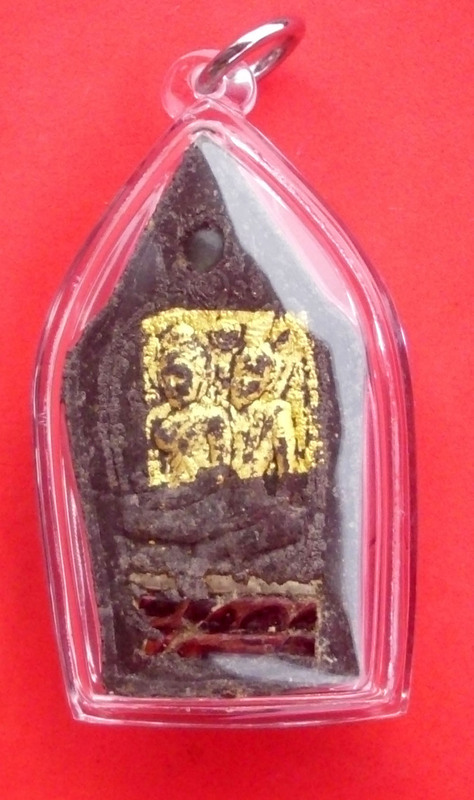 This Business improver, Protector and Love charm from Luang Phu In, is a Unisex amulet suitable for both Men or Women to use. Can be used for business, social popularity, and lover attraction, as well as giving general protection from danger. Paetch Paytorn Deity pair are embossed on the rear face, and covered with gold leaf. The amulet is small in size, and very traditional in its ancient form of design. 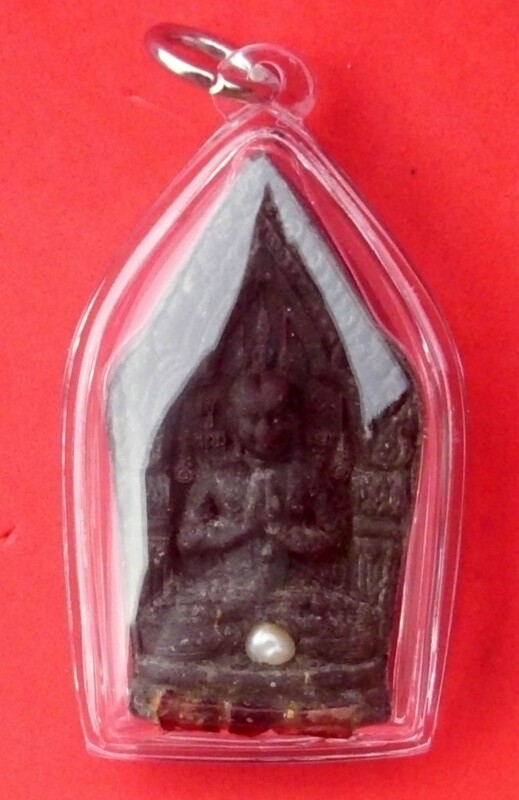 A special touch is given by the insertion of an authentic pearl in the front of the amulet, a sacred black pearl in the back, with a silver Takrut Hua Jai Khun Phaen (heart of Khun Phaen invocation), three python Takrut, and a gold leaf pasted on the rear face which is a Paetch Payatorn spell using the Wicha Long Tong Hua Jai Paetch Payatorn (invoke the heart of the Deity and seal it with gold leaf). 1299 amulets made in this limited edition Masterpiece amulet.